Hello stampers! 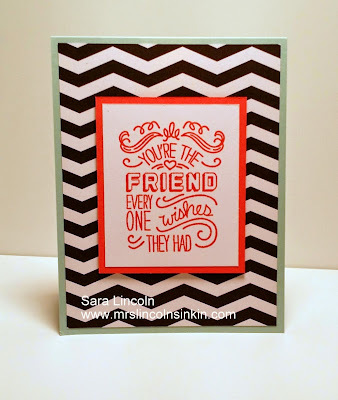 Welcome to Mrs. Lincoln's Inkin' and the first Sneak Peek of some of the items that are going to be in the new Annual Catalog which is going live June 2nd!! Oh I can't hardly wait. Now as demonstrators we do get to pre-order some of the wonderful items but there are still tons of items that we have to wait for. But, the pre-order does help hold me over, lol. The card that I am sharing today is a card that is using an item that is retiring, well it is in the Occasions Mini but still is not going to be available after June 2nd. 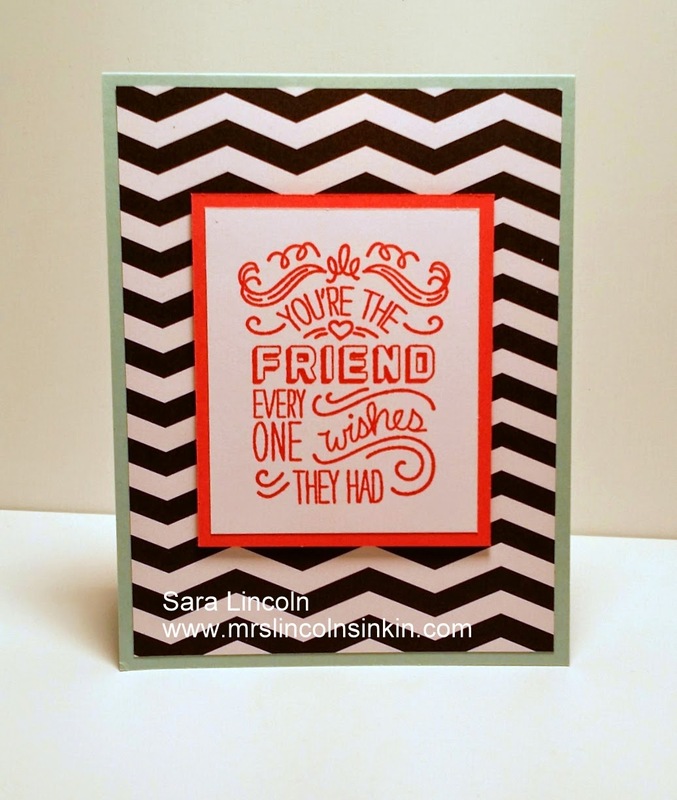 The DSP is from the Stacked with Love paper stack. Who says that it has to be used just for Valentine's Day? This paper is awesome!!! Do I have to host workshops? Do I have to sell to other people? Be the first to try new products in the new catalogs. You can pre-order from the new catalogs and occasion catalog one month in advance. That decision is entirely up to you. What if I do not meet the quarterly minimum? The merchandise is yours to keep!